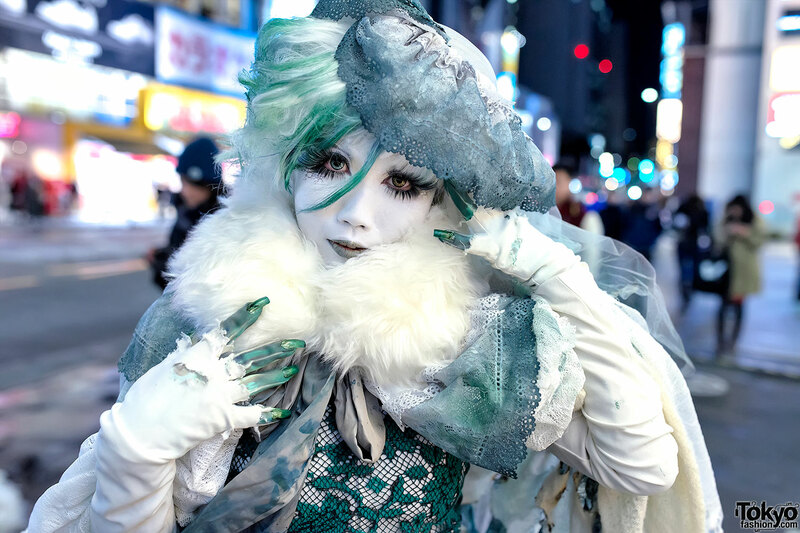 This Saturday, the biggest snowstorm in many years hit Tokyo. 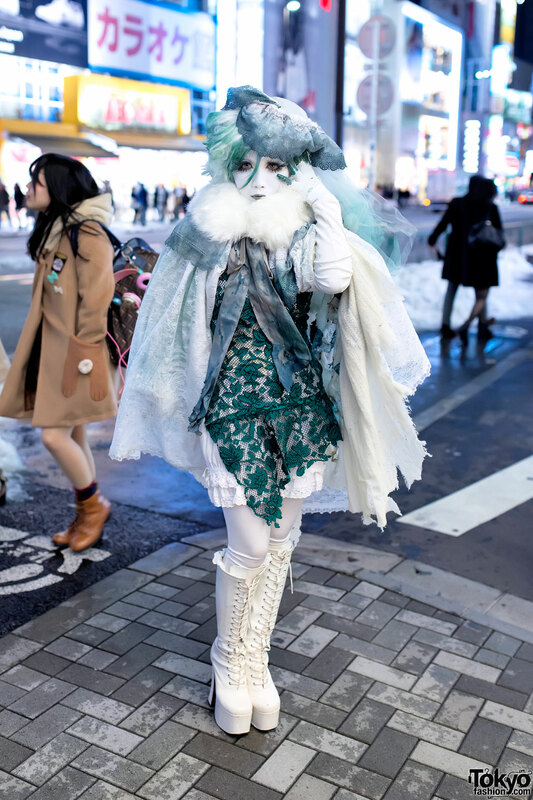 By Sunday afternoon, though, the sun was already melting away the snow and Harajuku was crowded again. 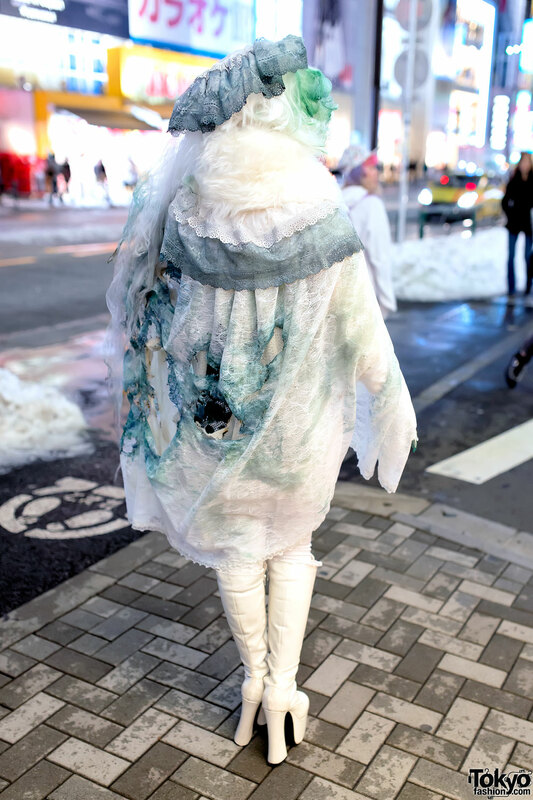 We ran into Japanese shironuri artist Minori while there was still a little snow on the ground. 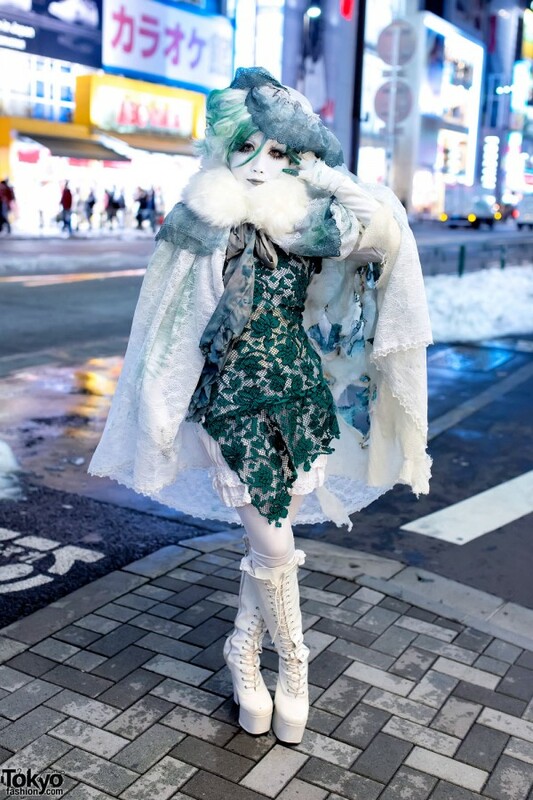 Minori was wearing handmade, remake, and vintage fashion featuring lace, tulle, netting, white tights, and tall lace up platform boots. 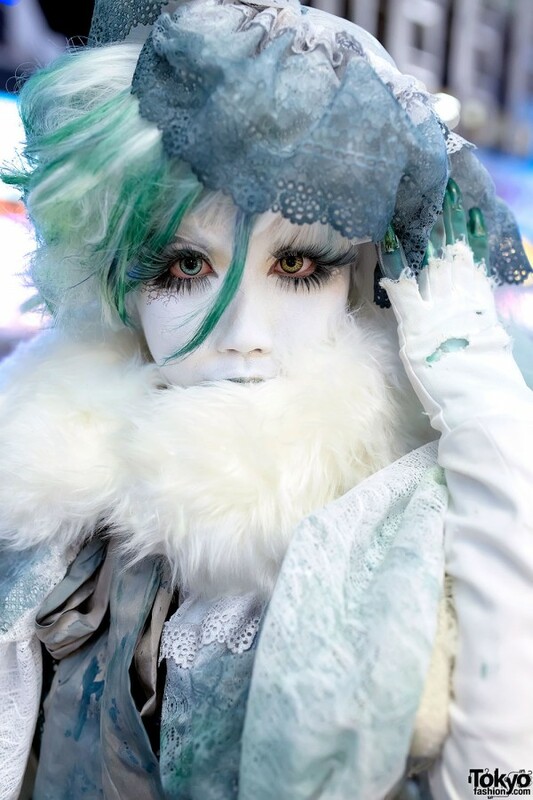 Accessories include a dyed lace headpiece and a green fingertip rings on top of her gloves. To find out more about Minori, her art, and her shironuri life, check out her personal website or follow her on Tumblr, Twitter & Facebook. You can also watch this video about Minori’s life. Love this one! It’s my fave! she looks crazy.. Is she ok? This is so awesome!!! I’m just surprised on how she could wear such high heels. (I would probablyfall so many times in them). 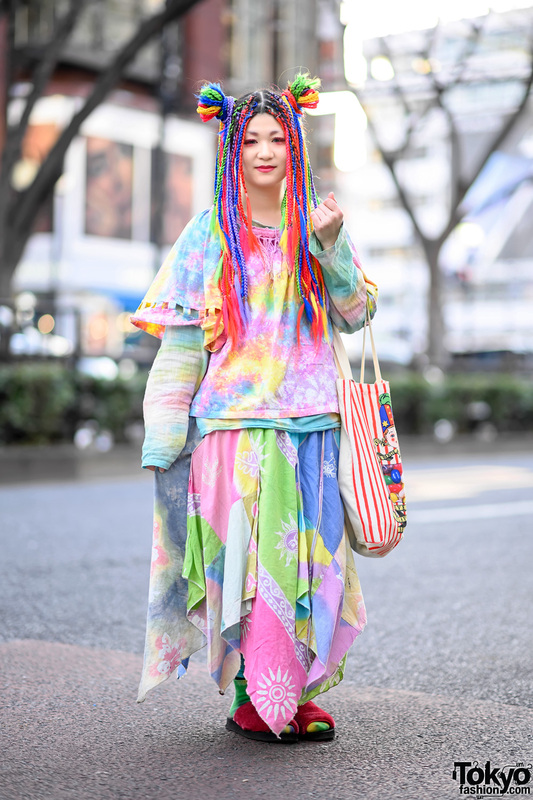 I love her fashion. Its old looks but nice and I would wear a lot of what she makes. She always make everything go to together. She is truly my favorite, I love when I see her look on this site. Beautiful green lace gown!!!! I love it! Her eyes.. Why are they so red? (( cause of lenses?